56 x 25 x 46 in. 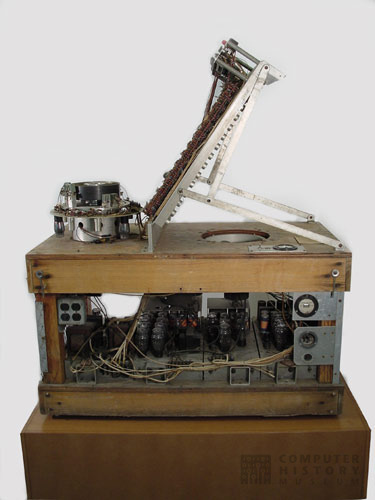 Basic specifications: 53 vacuum tubes 904 diodes 4-track magnetic drum memory Used in solving non-linear differential equations. 22 integrators wide.